Paul Walker’s Death and the Motivation to Create an Estate Plan | The Levin Law Firm - Philip Levin, Esq. Paul Walker, star of the popular movie franchise The Fast and The Furious, died suddenly in 2013. In what seems to be a sad twist of fate, he died in a tragic car accident and was only 40 years old. When someone we know, or feel like we know, dies in the prime of their life, we can’t help but relate. He was in excellent health, at the top of his professional career, and conceivably had years and years left to live. Most of us and our clients feel like we also have years and years, but as this story demonstrates, we all need to be financially and legally prepared. 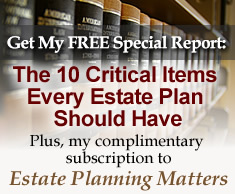 It’s too early to know if Mr. Walker was prepared by having an estate plan in place, but if statistics are any indication, he probably did not. This is particularly sad because he had a minor daughter, Meadow Walker, in his care. Not only was he supporting her financially, but she had recently moved to California to live with him. By all accounts, Paul was a loving and devoted father. It was said that he even accepted or rejected movie roles based on his daughter’s schedule. His desire to stay close so he could raise her full-time was strong. Paul was like most parents that way. But, I wonder if he was like most parents who thought he had plenty of time to establish and implement his estate plan. Without an estate plan plan in place, Meadow will most likely move back with her mother, who lives in another state. She will also likely inherit her father’s sizable estate, at age 18, outright and unrestricted. If this devoted father had put a Will and Trust in place, he probably would have designated someone responsible to administer his estate until Meadow matured enough to be able to make financially responsible decisions. Unfortunately, history has shown that making outright gifts of large amounts of money to a very young adult child can be a disaster. Instead of using the money for college or investing the money so that it will be available during one’s whole lifetime, an 18-year-old may often squander an inheritance on luxury cars, vacations, parties….or worse. The lesson for all of us, and our clients, is that no matter how healthy or wealthy we are, we should take steps to make sure our family will be cared for, financially and legally, if we are no longer able to do it. Putting a Will or Trust in place, to help our loved ones carry on without us, is critical whether clients have the estate of a movie star or are of much more modest means. If you or your clients would like to learn more about estate planning options and wealth transfer planning strategies, please call us at (610) 977-2443 to arrange a free consultation to discuss the particular estate planning needs for your clients.